Do you know who owns the media you consume? Suspicion of the media and its power for ideological control are age-old, however an investigation of the owners of modern media provide plausibility that media diversity is declining both internationally and in Australia . As such, the image below displays the owners of private legacy media platforms, and the connections between them. I decided to make connections of my own and find out who actually owns the media I regularly use. Interestingly, many major corporations own other media platforms, increasing the expanse of their reach. This seems to be a huge problem, because if all the same people own most of the media, where does that leave room for contesting ideologies? So, why does diversity matter? If Adolf Hitler loved the spoken word, Donald Trump loves the tweet. Parallels between Hitler’s methods of media manipulation in 1939, and Trump’s own methods have become apparent, questioning the credibility of the modern media, and its potential to act as propaganda. And, as a lot of what the general public knows comes from the media, it can be deduced that the ‘truth’ is often determined by it. But should we be able to trust the media and its reliable, unbiased information? This Media Watch segment explores just how easily unreliable and misleading information can be spread like wildfire. Modern media suspicions are not simply concerns about the reach and control of the media, but also a general unease about the privacy of our personal information. As explored in the clip below, there is much speculation that social media platforms have been seen to exploit their user’s personal information for monetary gain, track user’s internet browsing. Leading users to question: should I trust social media with my information? And how is it being used? As Adam Mclane states, “We still like to pretend that what we do online belongs to us”. But does “Caveat Emptor” apply, or are social media platforms being generally invasive of their user’s privacy? It’s easy to think of the media as the Iron Throne, and its “players” as noblemen, vying for complete control; or of Rupert Murdoch as the dark overlord of the media landscape; (as media ownership, regulation and control is an ever-present issue). Attempts to decrease the media’s potential for ideological control are ongoing, although the currently undiverse concentration of both the global and Australian media landscape often allow ideological agendas to seep through. Whilst, the digitisation of media platforms raises anxieties surrounding the privacy and exploitation of personal information. In our digital age, it is best not to naively believe that both legacy and social media will follow Google’s conduct mantra – “Don’t Be Evil”*. Turnbull, S 2017, ‘Media Industries and Ownership’ Powerpoint Slides, BCM110, University of Wollongong, delivered 22 March 2017. While I agree there are some similarities between the media manipulations of Hitler and Trump, I would hardly say it was ‘alarming’. During Hitler’s time of power the people did not have the media options that we do now. They were told a certain idea and were given newspapers soaked in propaganda to support it whereas now we may be receiving propaganda regularly, but we are also receiving anti-propaganda. We have many other, easily accessible news options to debunk Donald’s tweets and allows us to view a few different versions of events so we can decide for ourselves the truth. Whilst I do agree with your position, a lot of people take what is presented to them by the media at face value. As you said, there are many news options available to debunk Donald’s tweets for example, but it is up to the individual to firstly question the media and then find out what the truth is. So I guess my point was that Trump at times clearly aims to put out bias media in order to further himself – which is comparable to Hitler’s political career, however many individuals don’t do the extra research resulting in a skewed popular opinion. I do admit ‘alarming’ may be too high modality for the issue, and I thank you for your view – I hadn’t considered that stance before. Great blog detailing the ideological parallels of how contemporary Trump and antecedent Hitler utilised the contrasting forms of media relevant to their contexts in order to produce varying forms of propaganda, creating a very clear example for people who struggle to comprehend this concept. As well as a great explanation of the significance of the media’s role in portraying their respective ideologies and agendas. 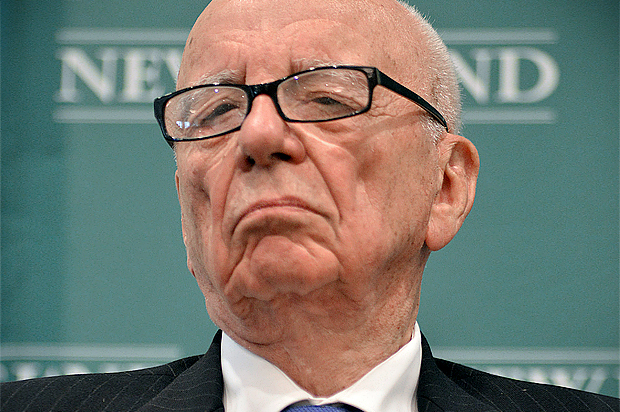 On Another note – In your opinion, do you believe that Murdoch and the Murdoch empire still play such a significant role in controlling societal ideologies with the recent rise in social media and the constantly increasing popularity of content from everyday ‘produsers’? Let me know! Anyway, your blog posts continue to enthral and inform me about a variety of abstract concepts so keep up the great work! I look forward to reading more from you. Thank you for your feedback. I do believe that Murdoch’s reach will somewhat slip but when you take into account how many forms of mainstream media he controls it is evident that he will always have a very prevalent potential ideological bias among his owned media platforms. Social media has enabled people who previously were not heard to input into media issues, however we must consider who owns this media as well. Ultimately, produsers are able to comment on media by ‘producing’ their own media but the articles, videos, images etc found on social media are still often produced by media companies so the issue of the concentration of media ownership remains.